The India TMT Optical Fabrication Facility (ITOFF), being constructed at the Indian Institute of Astrophysics campus in Hosakote, near Bengaluru, is rapidly approaching completion. The world-class optical facility was built by India-TMT as part of its contribution to the TMT partnership. Professor G.C. Anupama has become the first woman ever elected president of the Astronomical Society of India, the main association of Indian professional astronomers. Pasadena, CA – February 6, 2019 – The Indian Institute of Astrophysics (IIA), on behalf of India TMT, recently signed a contract with Larsen & Toubro (L&T) to manufacture 100 Segment Support Assemblies (SSA) for the TMT. L&T is one of the largest leading construction engineering companies in India. Beijing, China – On 19-21 December 2018, Thirty Meter Telescope China (TMT-China) Team held its science and technology annual assembly and TMT High Resolution Optical Spectrograph Instrument (HROS) Workshop at the headquarters of the National Astronomical Observatories, Chinese Academy of Sciences (NAOC). On July 16, 2018, a workshop about TMT's Mid-Infrared Camera, High-disperser, and Integral field spectrograph (MICHI) was held at the National Astronomical Observatories, CAS (NAOC), Beijing. 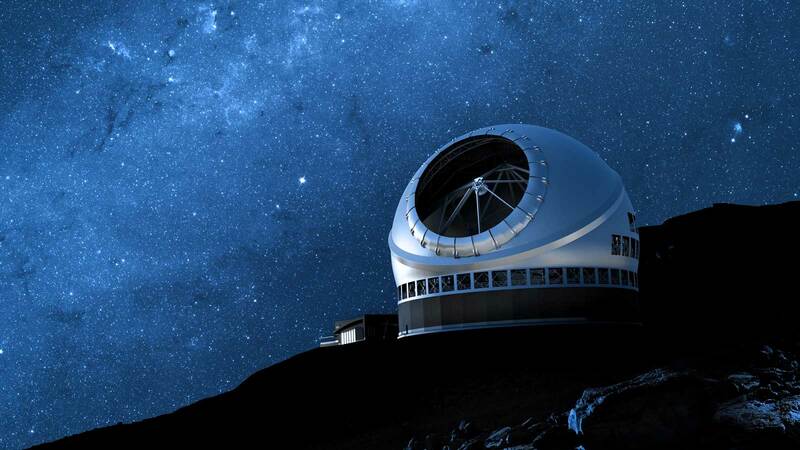 Representatives from the Thirty Meter Telescope’s (TMT’s) Wide-Field Optical Spectrograph (WFOS) team and TMT’s China partners gathered on October 16 in Beijing, China to discuss potential collaboration during the next stage of the conceptual design of WFOS.